EAST WHITTIER – Following an extensive search process, the East Whittier City School District Board of Education on May 22 selected Capistrano Unified administrator Marc Patterson as its next superintendent. 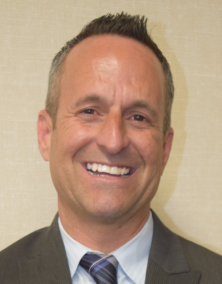 Patterson, who begins July 1, is assistant superintendent of secondary curriculum and instruction, K-8 schools and alternative education in Capistrano Unified, the second-largest school district in Orange County. Patterson succeeds Mary Branca, who is retiring at the end of the 2016-17 school year following a 30-year career in the District. Patterson began working as an elementary school teacher in the Westminster Unified School District in 1997 and later served as a middle school assistant principal and principal. In 2006, he joined Garden Grove Unified, where he held posts as an elementary school principal and high school assistant principal. In 2013, Patterson was hired by Capistrano Unified as principal of Tesoro High School. After two years, he was promoted to executive director, secondary curriculum and instruction before being named assistant superintendent in 2016. He is fluent in Spanish and earned an undergraduate degree in history from Cal State Fullerton and a master’s degree from Cal State Long Beach. East Whittier City hired Leadership Associates, an executive search firm, to facilitate the search for a new superintendent. In March, the District reached out to community members for feedback, posting online surveys and inviting stakeholders to share their input about the qualities, characteristics and experience they desired in the District’s leader. In April, the Board narrowed a field of 44 applicants to six and interviewed the top contenders. Patterson emerged as a consensus favorite. On May 8, an East Whittier City delegation of board members, union representatives and senior middle and elementary school principals visited Capistrano Unified to speak with the educators, staff and board members who work with Patterson on a daily basis. PHOTO CAPTION: Marc Patterson was named the new Superintendent of East Whittier City School District on May 22. Marc Patterson was named the new Superintendent of East Whittier City School District on May 22.